In reverence, poet W.S. 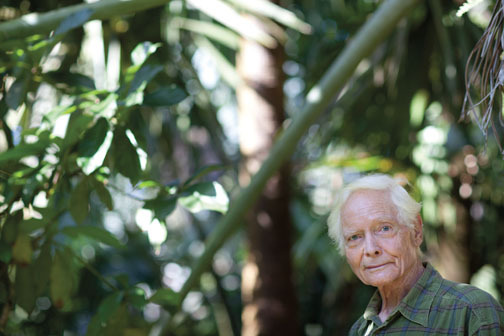 Merwin began planting trees nearly 40 years ago on land surrounding his home in Maui. He created and cultivated an 18-acre palm tree botanical garden, that has become one of the largest and most important collections of palms in the world. The collection includes more than 2,740 individual palm trees, representing more than 480 taxonomic species and more than 125 unique genera, and featuring nearly 900 different horticultural varieties, the Merwin Palms and the land on which they live have been called Hawaii’s Walden Pond. The plantation has become The Merwin Conservancy, which preserves the palm collection and the land from future development. 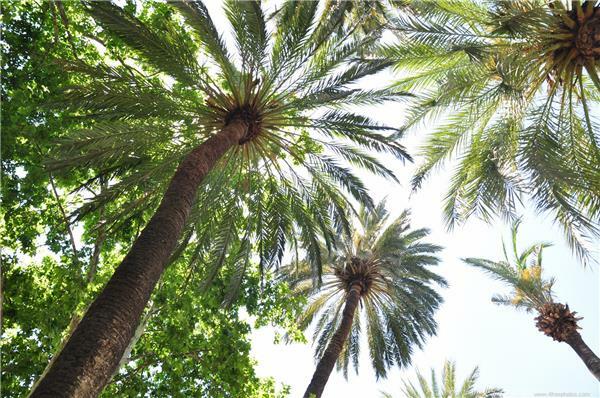 The conservancy allows for scientific and botanical study of the palm species. Merwin’s home on the property has been preserved as a place where art and nature intersect. 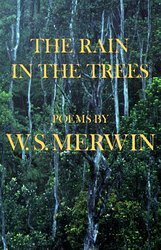 Many of the most famous poems and literary works authored by Merwin were written there. The Poet’s Home is now offered to poets, artists and authors as a retreat center. Appointed United States Poet Laureate by the Library of Congress in 2010, William Stanley Merwin has a career that has spanned six decades. A poet, translator, gardener and environmental activist, he is one of the most widely read and honored poets in America. Awards include the Pulitzer Prize (twice), the Bollingen Prize, the Tanning Prize, the Lilly Prize and the Lannan Lifetime Achievement Award. His Migration: New and Selected Poems won the 2005 National Book Award for Poetry and Present Company, which closely followed it, earned him the Bobbitt Prize from the Library of Congress. Now, in recognition of his botanical accomplishments, Merwin will be among 13 distinguished honorees at the 2015 Arbor Day Award ceremony on April 25 in Lincoln Nebraska. Arbor Day is an annual observance that celebrates the role of trees in our lives and promotes tree planting and care. As a formal holiday, it was first observed in 1872, but tree planting festivals are as old as civilization. Merwin will receive the Good Steward Award recognizing the value of the botanical garden he created. The Arbor Day Foundation said the impact of Merwin’s work reflects the values of wilderness, the stillness of nature, and our personal connection to the natural world. Text © 1988 by W.S. Merwin. Reproduced by permission of Georges Borchardt Inc. for the author. All rights reserved. Information on the Arbor Day awards are online at https://www.arborday.org/celebrate/. 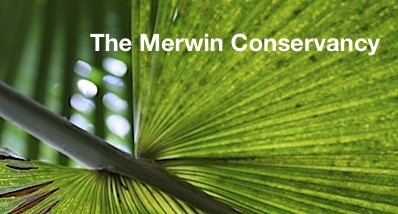 The work of the Merwin Conservancy is online at www.merwinconservancy.org.